Zig Ziglar jokes that some people find fault like there is a reward for it. You know these people, the Negative Nancy’s and Pessimistic Paul’s of the world. They are your neighbors, co-workers, family members and sometimes even church members. These people have nothing positive or nice to say about anyone. You smile when they approach and secretly whisper a prayer of thanksgiving for this “thorn in the flesh”. You do this because you know that learning to deal with them grows you. Yet, you wonder just what in life has made them so miserable and your frustration by them is overshadowed with your pity for them. Aristotle said, “Criticism is something you can easily avoid by saying nothing, doing nothing, and being nothing.” Dale Carnegie expressed it in a slight different manner. In How to Stop Worrying and Start Living he said, “Remember that no one kicks a dead dog.” He reminds his readers that unjust criticism is often a disguised compliment. When you are criticized you are accomplishing something worthy of attention. Does this resonate with you? Then let’s learn how to properly define criticism, practically deal with it, and then permanently defeat it. The first step in defining criticism is to identify what it is not. Criticism is not the same as biblical exhortation. I realize that the idea of accountability (i.e. exhortation, looking out for one another, discipleship, admonishment, and being answerable to one another) comes across as archaic. However, as we read the Bible we see a theme of accountability to one another. We are to love one another, honor one another, edify one another, admonish one another, care for one another, serve one another, restore one another, bear one another’s burdens, and be kind, tenderhearted, and forgiving toward one another. We are to teach one another, comfort one another, exhort one another, and consider one another. The Bible says we are to confess our sins to one another, have compassion with one another, be hospitable to one another, minister to one another, and fellowship with one another. God designed us for accountability. He does not intend for the believer to be an island to themselves. In the Bible, coming to the faith always meant coming to a local fellowship of believers (the church or assembly). Salvation is personal, but the Christian life is not. When we are born into this world we are born to a family; when we are “born again” we should be joined with a family of believers. In this family, the older are to teach the younger (Titus 2). The strong in the faith should help to restore those overtaken in faults (Galatians 6:1). The brethren exhorts the unruly (I Thessalonians 5:14). We are called to encourage one another daily so that sin will not harden our hearts (Hebrews 3:12-13). And we are to love those in sin enough to have compassion and make a difference in their life. (Jude 22-23) This is biblical exhortation. Second, criticism is not making a judgment. It is here Matthew 7:1 is quoted, “judge not that ye be not judged.” This is the problem that arises when Scripture is taken out of context. The Bible does not say we cannot judge the sins of others, but we are to first cast the beam out of our own eye “and then shalt thou see clearly to cast out the mote out of thy brother’s eye,” Matthew 7:5. We are not to be hypocritical in our judgment, but do so in love and compassion. There are things we cannot judge. We absolutely cannot judge the heart or inner motives of others. Only God knows the heart (I Samuel 16:7). However, this does not mean that we are to be undiscerning Christians; for we are commanded to make righteous judgments. For example, 1 Corinthians 6:1-8 states that when disputes arise between believers it should be settled in the church. A judgment has to be made. The church is to judge serious sins of its members and take action. We see this in Matthew 18:17 and 1 Corinthians 5:9-13. Those in the church must judge which men have qualifications necessary for elders and deacons (1 Timothy 3:1-13). As believers we are to judge the teaching of preachers by the Word of God (1 John 4:1). Jesus told us in Matthew 7:15-20 that we are to make judgments based on fruits in these men’s lives. Christians have to discern or make a judgment concerning the salvation of others to obey God’s command in 2 Corinthians 6:14 about not being unequally yoked. And according to 1 Thessalonians 5:14 we are to judge which people are unruly, fainthearted, and weak in that we can warn them. Making a judgment based on God’s Word is not the same as being critical of them. So, if criticism is not biblical exhortation or righteous judgment, what is it? Simply put, criticism is an opinion with a negative connotation. (Notice exhortation and judgment has nothing to do with opinion. Both are based on God’s Word.) However, opinions in themselves are not bad. Everyone has them. Opinions can be given in love, but criticism is often associated with animosity. It is a condition of the heart with the intent to destroy and discourage. It tears down instead of builds up. (Proverbs 14:1) It brings death instead of life. (Proverbs 18:21) It obsesses with flaws and imperfections instead of letting love cover them. (1 Peter 4:8) Criticism is a heart issue. Now that criticism is defined, how do we deal with it when it comes our way? A peek into the life of David can give insight into how to handle critical attitudes in a very practical way. No matter what position in life you are in, you will receive criticism. David was criticized as an insignificant shepherd boy and as the prominent king of Israel. He received criticism from the world and from those near him. David was criticized in his youth and in his old age. He was criticized often even though he is considered a man after God’s own heart. So how did David deal with criticism? Let’s look at two specific incidences in his life. “Who is this uncircumcised Philistine, that he should defy the armies of the living God?” Can you see young David asking this question? Righteous anger burns within him. Will no one take a stand? The strongest and bravest of the Israelites surrounded David, yet none dare battle the giant. King Saul, the one chosen to lead the people, sits in fear doing nothing. So, the young lad, willing to fight for the Lord, speaks out. Outside vilification is expected, but these words come from a brother. “I know thy pride, and the naughtiness of thine heart,” he says. David, criticized by one closest to him, addresses the matter. “What have I now done? Is there not a cause?” I Samuel 17:29. Much later in David’s life he is again verbally attacked. King Saul is now dead and David reigns as king. He is weary, worn, and fleeing from his son Absalom. As David approaches Bahurim a relative of Saul named Shimei comes out cursing and hurling accusations toward him. (Pay attention. It is often a technique of the enemy to attack when we are tired and exhausted.) “Then said Abishai the son of Zeruiah unto the king, Why should this dead dog curse my lord the king? let me go over, I pray thee, and take off his head,” 2 Samuel 16:9. David had the authority to stop his accuser’s tongue, but this time he chose to respond in quiet humility. “…let him alone, and let him curse; for the LORD hath bidden him,” 2 Samuel 6:11. There are several lessons we can learn from David on how to deal with criticism. The first is to determine how to respond. There is, “a time to keep silence,” Ecclesiastes 3:7. In the case of Shimei’s attack, David was silent. His response was consistent with a verse he later wrote under the inspiration of the Holy Spirit. “I said, I will take heed to my ways, that I sin not with my tongue: I will keep my mouth with a bridle, while the wicked is before me,” Psalm 39:1. There are plenty to times to hold our tongues when faced with criticism. But in that moment we should be careful to not hold our prayers. David’s prayer was that, “the LORD will look on mine affliction, and that the LORD will requite me good for his cursing this day,” 2 Samuel 16:12. He knew God could do much more for him than his enemy could do against him. 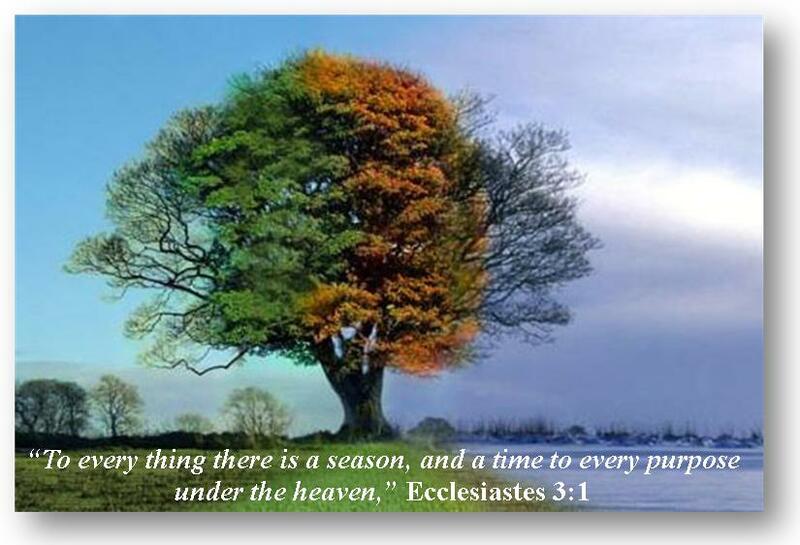 We also need to recognize there is, “a time to speak,” Ecclesiastes 3:7. David addressed his brother when criticized about his motives in facing Goliath. We also see him speaking out when criticized at other times in his life. (See 2 Samuel 6.) When we reply, we should do so in love and remember that a soft answer turns away wrath. When it comes to responding to our critics, remember that there is, “a time to keep silence, and a time to speak.” Let us seek wisdom to be able to discern which is appropriate. Finally, do not let criticism steal your joy. How easy is it to get discouraged when faced with just one critical person! Notice what David did after Shimei’s vile attack. “And the king, and all the people that were with him, came weary, and refreshed themselves there,” 2 Samuel 16:14. David wasn’t alone and neither are you. For every one person who opposes you, chances are many more support you. David and all the people that were with him came and refreshed themselves. They would not let the hostility of one take away their joy. To practically deal with criticism you must first know how to respond. Do not let it affect your plans or steal your joy. Then you must learn how to defeat it once and for all. Criticism is a two-headed beast that must be defeated from within and without. We cannot stop others from responding with criticism, but we can defeat it by stopping its intended purpose of tearing down. When it rears its ugly head, we have power over how it influences us by overcoming it with good. “Be not overcome of evil, but overcome evil with good,” Romans 12:21. But what if criticism is a problem that comes from within? We have addressed being on the receiving end, but to truly overcome it we must look within ourselves. Critical words tear down and we are all guilty of being critical at times. As Christians, we are to build up others through encouraging and positive words. There are two verses I go to when I find myself needing encouragement. Let no corrupt communication proceed out of your mouth, but that which is good to the use of edifying, that it may minister grace unto the hearers, Ephesians 4:29. Let your speech be alway with grace, seasoned with salt, that ye may know how ye ought to answer every man. Colossians 4:6. Let us not think that we have power within ourselves to overcome the nature of our tongue. “For every kind of beasts, and of birds, and of serpents, and of things in the sea, is tamed, and hath been tamed of mankind: But the tongue can no man tame; it is an unruly evil, full of deadly poison,” James 3:7-8. As we see here, no man tames his tongue. It takes something more. In Mark 7 we see a deaf man who could not speak clearly. Just as it took a touch on the tongue to heal him, we too must be touched by the Lord. Only through the power of God can we subdue our words. It takes His goodness, grace and love working in us to control our words and defeat criticism. Thank God that through Him we have the capability to overcome evil with good, turn negative into positive, and criticism into encouragement. I wrote this letter when my daughter was 10 years old. Now that she is just a few days away from turning 18 I thought it was time to repost. I’m so proud of the young lady she has become. She shines with the love of Christ and she has my heart! One of the highest callings in life is that of a mother. It comes with great joy and incredible responsibilities. When God gave you to me, He gave me a most precious gift. You are a joy and delight. When you smile your sweet countenance spreads light throughout the room. You can laugh and turn sorrow into joy. You are a treasure and your calm disposition brings peace to our home. I realize that I only have a few years in which to teach and train you to become a virtuous young lady of highest character but that is my desire. Daughter, there are many things I want you to know. First of all, know that I love your father. Next to Christ he is my dearest friend. Every night as I pray for you, my prayer is that someday God will bring a godly young man into your life that mightily loves the Lord and deeply cherishes his wife, just like your father. I pray you discover early on in your marriage your God given role as wife and that you will embrace it with joy. I want you to know that children are a blessing from God. Today children seem to be nothing more than a burden to many in which to cast off on someone else. You and your brothers are a joy and I thank God daily for each of you. I praise Him for the opportunity that He has given your father and me to raise you. I want you to know that we will do our best to raise you not by the world’s standards but by God’s standards alone. The world says you must be beautiful on the outside and that your value is based on how you look and dress. God says that your value is based on who you are. True beauty comes from within and God’s standard is one of purity. Never forget that the most important thing in this life are relationships. Your relationship with God is first and foremost. Only in Christ will you find complete fulfillment. Your life will be void if you look to any other. Second is your relationship with others. Never miss opportunities to love your family, to build and cultivate friendships, and to reach out with kindness to strangers. For it is in loving and serving others that Christ will be glorified. Finally, I want you to know that no matter what stage of life you are in and no matter what you find yourself doing, make sure that it is for God’s glory. If you’re being educated, learn with the desire to use your gifts to please God. If you’re working, whatsoever your hands find to do, do all for the glory of God. If you’re serving others, do it to point others to Christ. Remember, you have purpose; no matter your age or station in life God has a plan for you. Seek Him with your whole heart and your life will be complete. You will have joy unspeakable. Know that I will make mistakes and sometimes fail you, but I pray with all my heart that my words and actions as your mother are that in which you can look to as a godly example. I love you sweet daughter. It’s easy to say that as a believer I welcome death. It’s another thing entirely to live it out daily. We live in such a self-focused, self-absorbed, self-centered world. Our very nature is selfish. Our very sin nature, that is. I know the struggle well. In an attempt to elevate self my own flesh, the world around me, and the great enemy cries out. Focus on you. Put yourself first. Look out for number one. Do what is best for you. Don’t worry about others. Think of yourself. Do whatever it takes to make you happy. These are the lies whispered in my ear. Because of the infatuation with self. I want the easy life – not the one that is best. I want happiness – not true joy. I want to be without pain – not growing. I want to be free of all troubles and trials – not be a witness. But something within me recognizes the lies. My spirit is quenched. And in that fleeting moment of clarity I run back to the source of all truth. I pick up God’s Word and dwell in the reality of death – death to self. As Paul addresses the Corinthians he says, “I die daily.” In Colossians he exhorts us to put to death the old man and put on the new man. For we are dead and our life is hid with Christ in God. Like the dear saint in the story I should every day wake to die; die to myself, die to my flesh, die to my desires, die to my wishes, die to my wants. There is victory over death; therefore there is a death that is welcome. And in that death, I live. Life. Everlasting life. Victorious life. Abundant life! This is my prayer. This is my desire. Die to self and live for Christ, a selfless life of sacrifice putting others first. To serve and love in the name of my Lord. To truly live. Are you anxious about the future? Maybe you’re concerned about a problem you’re facing? Are you losing sleep? Perhaps you are worried about your marriage or children. Your health? Finances? An issue at work? Family problems? If you’re like me you know it’s wrong to worry. After all, I am a child of God. I know that Philippians 4:6 says to be anxious for nothing. I give into my fears. And I cry out to God. For months now I’ve been crying out about a situation that is completely out of my control. A friend suggested I read Psalms 34. I read it every day. This morning verse 9 caught my attention. “…there is no want to them that fear Him.” Then in the next verse it states, “They that seek the Lord shall not want any good thing.” I was reminded of the 23rd Psalms. It was the first passage I memorized as a small child. In verse one David declares, “The Lord is my shepherd, I shall not want.” Do you notice a pattern? Those that fear Him lack nothing. Those that seek Him lack nothing. Those that are His sheep lack nothing. Why? Because He is God. He is Holy. He is righteous. He is the Creator and Preserver of all things. He is the Good Shepherd (John 10:11). The Lord is my Shepherd. I am His sheep. And guess what? Sheep don’t worry. They just trust. Of course they have good reason to trust. Consider all that a good shepherd does for his sheep. A good shepherd daily leads them in and out. A good shepherd knows how to feed them and directs their path. A good shepherd watches over his sheep. He keeps them safe. He fights for them. A good shepherd brings back the ones who have strayed. A good shepherd takes them to shade in times of scorching heat. A good shepherd gives them good things like rest, oil and, peace. The Good Shepherd leads me (Psalm 31:3). O, blessed thought! He directs my path (Proverbs 3:6). He keeps me safe (Proverbs 18:10). He lovingly brings me back when I stray (Luke 15:4). He gives me shade during scorching heat/persecution (John 16:33). He cares for me (I Peter 5:7). The Lord is my shepherd. I shall not want. Sheep don’t worry. They just trust! Just under a year ago I wrote a piece amidst another homeschool scandal called When Leaders Fall.. and what we can learn from them. I encourage you to go read it HERE and share it with your children, family and church. We live in a fallen world and how we respond to these issues can be vital to our Christian witness and influential to the spiritual development of our children. This week past news of Josh Duggar and his resignation at Family Research Council has been in the forefront of headlines. Everyone has an opinion. I’ve read some pretty incredible responses against this sweet family. I’ve also seen support, grace and love extended toward everyone involved. Matt Walsh (The Duggars Aren’t Hypocrites) and Todd Friel (The Duggar Disaster) both have great insight to this issue. And quite frankly, I didn’t believe there was much that could be added to the discussion. There has been plenty of talk on sin and judgment. I have heard biblical phrases like “he who is without sin cast the first stone” and “be sure your sins will find you out” touted all over the internet by Christians and non-Christians alike. But I haven’t read a lot on repentance. So let me offer a perspective that perhaps you haven’t considered. First off, what happened this week to the Duggar family has nothing to do with a Christian man falling into sin. Josh was a young boy whose past was exceeding sinful and yet he found God’s grace and mercy. He repented, confessed, sought forgiveness and moved on with his life. This story is really about the people who sought after and dug up news in an effort to destroy the witness and gospel message that this family has long stood for. Those that oppose the gospel message will always seek to destroy the messengers. Those that oppose Christ will always seek to destroy His followers. None of this is surprising. It is certainly sad … but not surprising. So nothing further can really be said to those who are blind to God’s grace. They do not understand it. Christ said he came, “to open their eyes, and to turn them from darkness to light, and from the power of Satan unto God, that they may receive forgiveness of sins, and inheritance among them which are sanctified by faith that is in me.” (Act 26:18). Until that happens they will always oppose truth and truth bearers. While the Duggar story really is a separate issue, let me speak to Christians – Christ-followers -The Church who is the pillar and ground of the truth. If we do not respond correctly to repentance, we are not following Christ’s example. Let me repeat that for emphasis. If we (as believers) fail to respond correctly to those who repent, we are not following Christ’s example. Think about the vast references on repentance throughout God’s Word. Can I make a point that really shouldn’t have to be made? There would be no need for repentance if we were all perfect. This sinful, fallen world needs a Savior. This is the reason the prophets proclaimed it and Christ preached it. It is also the reason that those who have already received it tell others about it. Even after we are saved and become new creatures, (redeemed and imputed with His righteousness) there is still a need for daily repentance. We do not repent unto salvation for that is no longer necessary (Hebrews 6:1-6). But true believers do repent when we sin and seek the Lords forgiveness as a part of our sanctification. 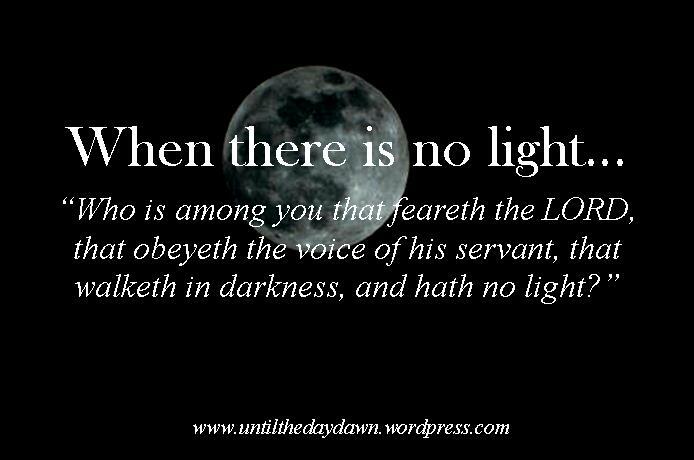 Those who walk in the light cannot continue to walk in darkness (1 John 3:7-9). They can , however, fall into darkness. But note that they do not stay there. This brings up a valid point of what to do when Christian men or women fall into sin. After all, believers will fall. We are sinful creatures. Yes, we strive. Yes, we have the spirit of God working in our lives. Yes, we are called to be holy, but until we are glorified and one day become just like Him (1 John 3:2) we will always fight sin. The Apostle Paul was transparent about his sin nature. He wrote, “For I know that in me (that is, in my flesh,) dwelleth no good thing: for to will is present with me; but how to perform that which is good I find not. For the good that I would I do not: but the evil which I would not, that I do. Now if I do that I would not, it is no more I that do it, but sin that dwelleth in me” (Rom 7:18-20). Understanding this sinful state that even believers find themselves dealing with, he states, “O wretched man that I am! who shall deliver me from the body of this death? (Rom 7:24) And then boldly proclaims, “I thank God through Jesus Christ our Lord!” I can state as Paul, I thank God through Jesus Christ our Lord! Without Him and His love, mercy and forgiveness where would we all be? So what then? 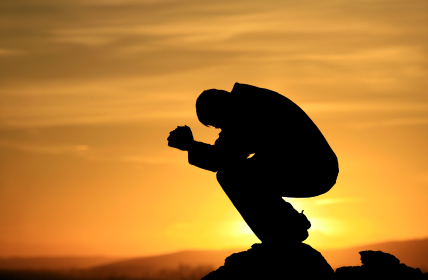 What happens when a Christian repents? Let’s look to King David, a man after God’s own heart (1 Samuel 13:14) who as leader fell into great sin. If you are unfamiliar with the story you can read about it in 2 Samuel 11 and 12. David sinned against God by committing adultery with Bathsheba and attempting to cover it up by having her husband killed. God sent the prophet Nathan to confront David and he repented. As you read the story you find that even after he repented, he still faced the consequences of his sins. He sons died. His kingdom was torn away from him. His family was shattered. People were hurt. This is what sin does – it destroys lives and brings death. And every one is prone to it. But that is not the end of the story. David’s kingdom was restored. God was exalted. David’s second son with Bathsheba replaced his father as king and is used to build God’s temple. How does God respond to true repentance? He forgives and uses it for His glory! God uses our sins, mistakes, failures and ugly past for His glory. David understood that. David was going to make sure that he used his past to teach others. Don’t miss this! He used his past for God’s glory. Read David’s repentant prayer recorded in Psalm 51. To the chief Musician, A Psalm of David, when Nathan the prophet came unto him, after he had gone in to Bathsheba. Have mercy upon me, O God, according to thy lovingkindness: according unto the multitude of thy tender mercies blot out my transgressions. Wash me throughly from mine iniquity, and cleanse me from my sin. For I acknowledge my transgressions: and my sin is ever before me. Against thee, thee only, have I sinned, and done this evil in thy sight: that thou mightest be justified when thou speakest, and be clear when thou judgest. Behold, I was shapen in iniquity; and in sin did my mother conceive me. Behold, thou desirest truth in the inward parts: and in the hidden part thou shalt make me to know wisdom. Purge me with hyssop, and I shall be clean: wash me, and I shall be whiter than snow. Make me to hear joy and gladness; that the bones which thou hast broken may rejoice. Hide thy face from my sins, and blot out all mine iniquities. Create in me a clean heart, O God; and renew a right spirit within me. Cast me not away from thy presence; and take not thy holy spirit from me. Restore unto me the joy of thy salvation; and uphold me with thy free spirit. But David does not stop there. In verse 13 he said, Then will I teach transgressors thy ways; and sinners shall be converted unto thee. (Psa 51:13) Did you catch that? David was saying that after he fell into sin and repented, God forgave him. Now he was going to use his testimony to teach others about the dangers of sin. When we are right before God, our hearts desire is to teach others. Why? Because we are filled with such love from God’s mercy and forgiveness that we greatly desire for others to experience the same. When leaders humbly repent we can learn from them. Let it serve as a reminder of our great need for a Saviour. Let is serve as a reminder of the dangers and consequences of sin. Let it serve as a reminder to respond as Christ responds to those who truly repent. On a personal note: I thank God daily for my salvation, but let me tell you that I’m in the process of being sanctified and it is a process. My Lord is constantly working on me, changing me, molding me and shaping me into His image. I have a long way to go, but I press on nevertheless. I believe the key is striving – striving to be like Him. Of course I fall into sin on occasion, but my heart’s desire is to run from sin and to cling to my Lord. May we all be constantly pursuing holiness in spite of this sinful flesh and dark, dark world we live in. I know…it’s been months since I have posted anything. Three months to be exact…. And in all truth I do not have the time to post now. But I want to explain. It is not that have nothing to say, or that I have forgotten about any of you. It is that I have found myself in this season, a season of life that leaves little time for doing some of the things I have always loved to do. using me… in ways I would have never expected. More on that later. Click HERE to read the rest of the article I wrote called SEASONS that came out in the March/April 2014 issue of Homeschool Enrichment. I hope you will take the time and be blessed! So much has already been said about the debate. And that, I believe, was the point. People are talking, the subject is making the news, students, teachers, friends, family members, and church leaders are asking questions. “Is creation a viable model of origins in today’s modern scientific era?” But even more significant than this, the gospel was preached to millions. While watching the debate one passage of scripture came to mind more than any other. Knowing this first, that there shall come in the last days scoffers, walking after their own lusts, And saying, Where is the promise of his coming? for since the fathers fell asleep, all things continue as they were from the beginning of the creation. For this they willingly are ignorant of, that by the word of God the heavens were of old, and the earth standing out of the water and in the water: Whereby the world that then was, being overflowed with water, perished,” 2 Peter 3:3-6. At one point in the debate Nye asked Ham, “What is it that you can predict? What can you provide us that can tell us something about the future?” I found that interesting. My prediction long before the debate was that 2 Peter 3:3-6 would come to pass that every night. It was clear that Bill Nye, the modern day scoffer, deliberately overlooked the fact of creation and the world wide flood even when presented with truth. One very pivotal point of the debate was when Ham asked Nye what purpose he had in life if evolution were true. The answer is, of course, nothing – no purpose, no meaning, no joy of discovery. Life is pointless from Nye’s point of view. …go ahead, I will wait. It is an amazing story. You see, the Philistines of our generation have stopped the wells using public education, secular colleges, the media, Hollywood, false preachers, teachers, and pretenders. They have filled the wells with lies. In the process they have attempted to eradicate God’s Word and stop the flow of life giving water. 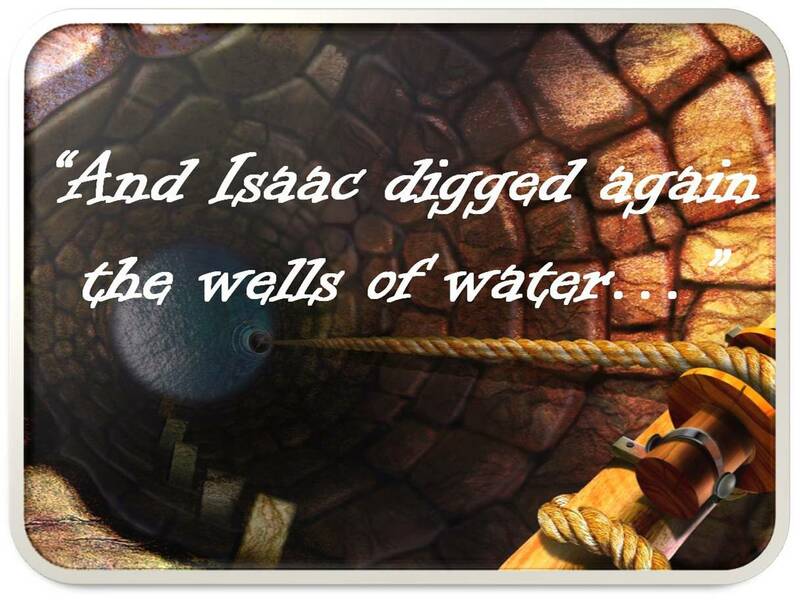 That day Dr. Ham charged the audience to go out into the world and, like Isaac, re-dig the wells that have been stopped. Now that the public debate is over, what are we to do? What comes next for Christians? Simply put, we need to re-dig. We need to take back ground that was once lost. We need to push back and speak up, because the Christian life is not pointless. It has meaning and purpose. We have a mission to accomplish, a gospel to preach, and the truth to proclaim. One bit of dirt that is used to fill the wells is the teaching of evolution as fact. Thousands of children and young adults are indoctrinated with the lie of evolution in our public schools and secular universities. The agenda is to weaken faith in God and promote humanistic religion. (Read more about that here, or watch what top evolutionary scientists have to say here.) Christians can and should re-dig in this area. Not only are we to re-dig stopped up wells, but we are to be about building new ones. Jesus said, “whosoever drinketh of the water that I shall give him shall never thirst; but the water that I shall give him shall be in him a well of water springing up into everlasting life,” John 4:14. The building of new wells can only be accomplished through the gospel – a truth that Ken Ham certainly understood the night of the debate. Some days are busier than others. One day in particular comes to mind. It began at 4:30 a.m. with a trip to the gym with my husband. We came home. I fixed breakfast and sent him off to work. The next two hours were spent in my office writing. I tore myself away to get started on the day’s lessons. I helped my youngest son with his reading, math, writing, Bible, science and history. I instructed the older children in their language program and history and oversaw their math and other work. We rushed to finish our lessons because we had a full afternoon of errands. I needed to run by my husband’s office, Walmart, Autozone, Post Office, Library, deliver a gift to a friend, and get my hair cut at the salon. But I could not linger in town, because I needed to get back home for a scheduled Skype meeting. After my meeting, my daughter asked me to sit down with her to help her make some jewelry. The dog needed a haircut. We had planned a church fellowship at our home the following evening, so I still needed to work on food, games and clean the house. All of this was before dinner. As a wife and homeschool mother, more often than not, I will have days like this. It was certainly productive, but the day had me spent. I have learned that a schedule like this for very long leaves me overwhelmed. When that happens my children do not get to experience my best side, my energy gets used up, and there is nothing left for my husband at the end of the day. In contrast, I have had days that were the direct opposite to this one. These are the more unproductive days where I don’t fit a lot into (with maybe the exception of an afternoon nap). Obviously, extremes are dangerous; so I am striving to learn how to live a life of balance. I want my life to be filled with activity, for laziness is a sin. But, I do not want to be so B.U.S.Y. that I am Bound Under Satan’s Yoke. I want to teach my children to be diligent with strong work ethics. But, I also want them to learn how to be still and quiet at times. I want our family to be servants. I want us to give of ourselves to our church, friends, family, and neighbors. But, I also want it to be with the proper perspective and attitude. There must be a balance. 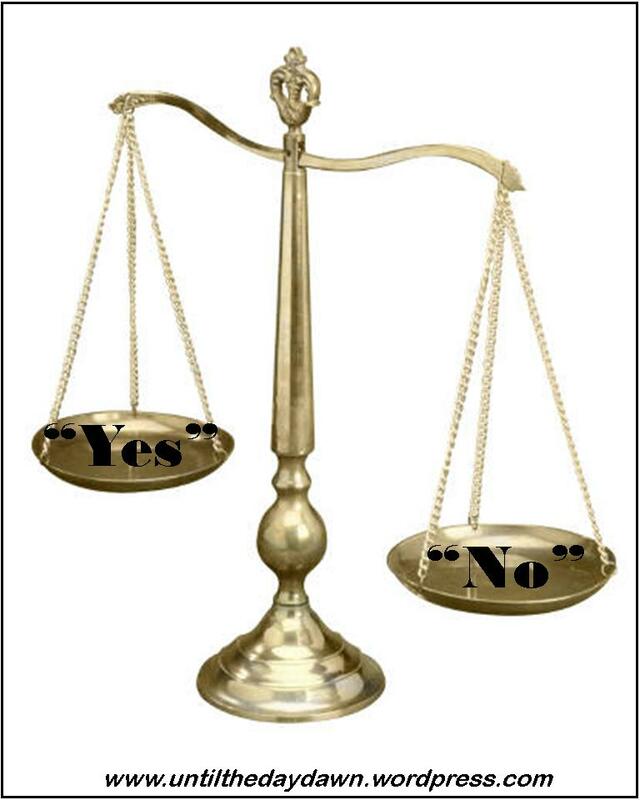 My problem is that I swing far to the side of always saying “Yes” when many times I should be saying “No”. When I try to do too much I end up doing all of it in a mediocre fashion and none of it with excellence. Priorities must be not only set, but kept. I thank the Lord that I have a husband who encourages me in this area. He often reminds me that outside of my relationship with the Lord, my number one priority is the home. Of course, a lot of responsibilities fall under this category including being my husband’s suitable helper, teaching and training the children, and overseeing all the affairs of the household. Everything else comes in second including our church, my writing, marketing, hobbies and recreation. What does your day look like? Is it stress free? Our Lord has the answer. “Come unto me, all ye that labour and are heavy laden, and I will give you rest. Take my yoke upon you, and learn of me; for I am meek and lowly in heart: and ye shall find rest unto your souls. For my yoke is easy, and my burden is light,” Matthew 11:28-30. Sometimes we walk in dark places. Sometimes we fear what those dark places will bring. We seek for an answer and sometimes it is not clear. It might even at times seem as if God is not there. The Psalmist described these dark times as weeping in the night. Paul equated it to a thorn in the flesh. James defines it as trying of our faith. Peter calls our affliction fiery trials. And Jesus referred to dark times as tribulations. Every child of God goes through them – trials, tests, and troubles. So, what should we do when we walk in these dark places? I am learning that I should never doubt in the dark what God has shown me in the light. He has shown me that while weeping may endure for a night, joy comes in the morning (Psalm 30:5). He has shown me that while I might be given a thorn in the flesh, His grace is sufficient (2 Corinthians 9:12). He has shown me that while my faith has been tried, it brings patience to my life (James 1:3). He has shown me that while fiery trials are hard, they are no strange thing (1 Peter 4:12). He has shown me that while we will have tribulations in this world that we should be of good cheer. Jesus has overcome the world (John 16:33). The answer is right there: We are to trust in the name of the Lord and lean upon Him. No matter what that dark place looks like, we know that God is there. He will never leave his children or forsake them. Maybe for you the path is clear and the light is bright. Praise Him during this time. But maybe the day grows dim and the shadows appear. Remember, dear child, do not doubt in the dark what God has already shown you in the light. Trials are a part of everyone’s life. It is not a matter of if they will come, but when. Jesus told us in John 16:33 that we would have tribulation. Paul said in 2 Timothy 3:12 that all those that lived godly in Christ would suffer persecution. While this message warning contradicts today’s popular messages of health, wealth and prosperity, it is true. It is in trials and tribulations that we are molded and shaped into holiness. It is in the refining of the fire that we become pure. So, how do you deal with trials in your life? Do you complain about the circumstances or rejoice with thanksgiving? Do you advertise your trials or bear them quietly? Do you indulge in self pity seeking sympathy from others or submerge yourself in service to others? I have to answer, yes! I’ve done all of those. Do not misunderstand. When we go through trials it is no small thing. But it is very easy to complain and become self focused. While trials are not fun, it is important to remember the many reasons we have them. Focusing upon the work that God is doing in our lives helps us through trials. Trials wean us from our dependence of worldly things. Trials make us heavenly minded. Trials reveal what we really love. Trials teach us to value God’s blessings. Trials develop enduring strength for greater usefulness in the Kingdom. Trials enable us to help others during their trials. Trials test the strength of our faith. 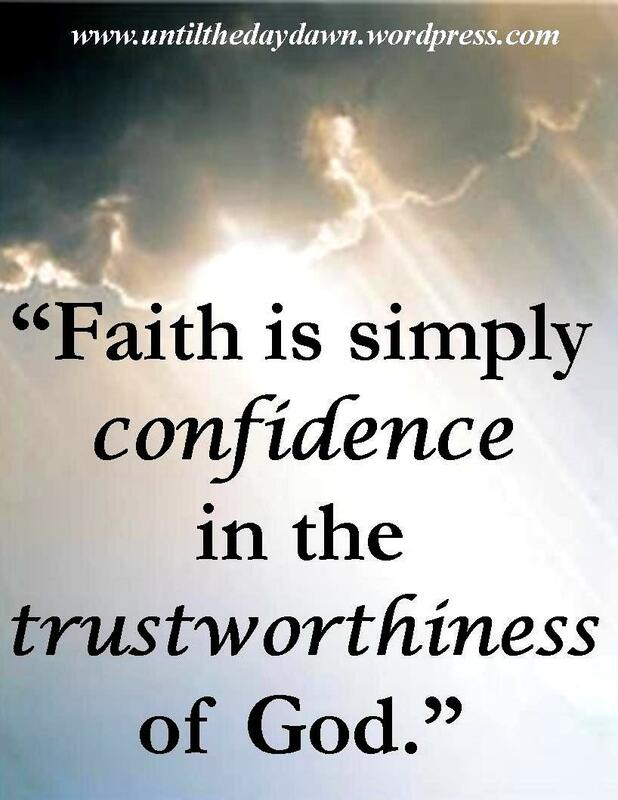 How trustworthy is God? He will never fail me. He is always faithful. He has never left me or forsaken me. And He always does what is best. Our Father is faithful! To learn more about God’s faithfulness, check out Living Out the Word: Faith, a verse-by-verse study through the book of James. “My brethren, count it all joy when ye fall into divers temptations; Knowing this, that the trying of your faith worketh patience. But let patience have her perfect work, that ye may be perfect and entire, wanting nothing. If any of you lack wisdom, let him ask of God, that giveth to all men liberally, and upbraideth not; and it shall be given him. But let him ask in faith, nothing wavering. For he that wavereth is like a wave of the sea driven with the wind and tossed,” James 1:2-6.